It’s that time of year again … time to celebrate everything that is craft beer. It’s American Craft Beer Week! A week-long celebration that brings together a nation of craft beer fanatics and honors everything our industry represents, we’re toasting the red, white and brew with a slew of off-centered, beer-centric events across each our properties! We’ll be offering a selection of special taps*. Each day will boast a different theme, with different featured beers to match. Check out this lineup! Featuring ’15 120 Minute IPA, '13 Chateau Jiahu and '09 Black & Blue. Featuring Triple IPA, 120 Minute IPA and Viniferous IPA. Featuring Scotch Barrel-Aged Palo Santo Marron, Siracusa Cabernero and Bourbon Barrel-Aged Palo Santo Marron. Featuring Sour Cherry Jam, Boysenberry Creamsicle Sour and ’15 Festina Lente. Featuring Getting’ Prickly With It, a special Randall offering and the new ’18 Firefly Ale. *Beers will be available during Tasting Room hours – 11 a.m. to 7 p.m. – while supplies last. But, that’s not all! We’re keeping this party going all weekend long with a sneak peek of our newly remixed Firefly Ale AND a very special, limited edition bottle release! Friday, May 18 from 4-6 p.m.
As the official craft brewery of Firefly Music Festival since 2012, this year we added a fresh twist to our ever-popular Firefly Ale. With help from a few thousand of our friends on social media, this year’s main ingredient was chosen by YOU! 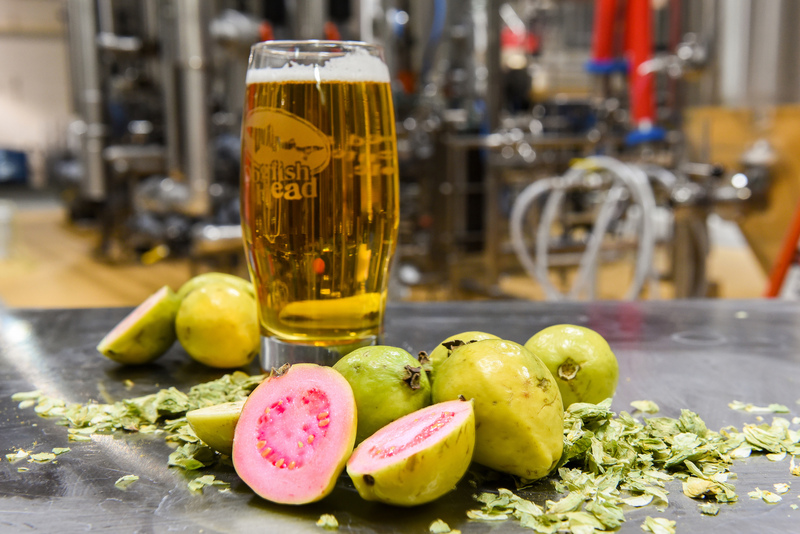 Our remixed Firefly Ale is brewed with guava puree and coconut flower nectar, and is full of tropical fruit notes. It has a subtle sweetness, but is also tart and citrusy. It’s a summer sipper that’s perfect for those days and nights in The Woodlands! To celebrate this awesome new brew, we’ll be jamming out to a Firefly playlist and giving away tickets to the festival – we’ve got a pair of tickets to Friday, Saturday and Sunday’s shows. All three giveaways will be announced at 6 p.m.
Saturday, May 19 at 11 a.m. Wondering how this week could possibly get any better? How’s about a limited bottle release?! On Saturday, we’re releasing 700 bottles of a new, limited-edition sour beer – America the Brettiful. Clocking in at 8% ABV, American the Brettiful is a fruit-forward, barrel-aged American wild ale brewed with Pils malt, wheat, oats and spelt. After adding raspberries, the beer is then aged in red wine barrels with Brettanomyces bruxellensis and lactobacillus for nine months! It’s finished off with fresh blueberries and re-fermented with a Belgian saison yeast. 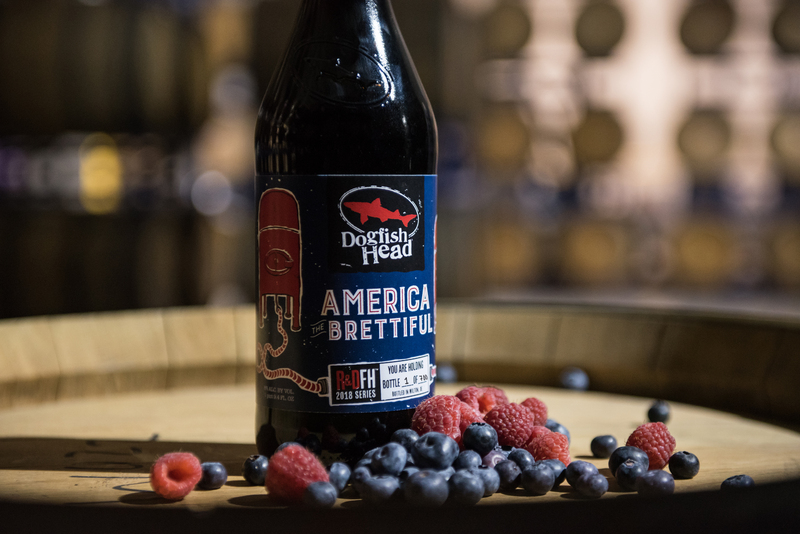 Softly sour with bright berry notes and a mild brett funk, America the Brettiful is truly Red, Wild and Blue! Bottles are $20 each and will be sold on a first come, first served basis. Limit of 5 bottles per person. We’ve gotta share the goodness, folks! America the Brettiful will also be on tap in the Tasting Room while supplies last. As if that's not exciting enough, our merchandise team has created a limited edition R&DFH glass for this bottle release - only 200 available for purchase! Friday, May 18 from 6-8 p.m. If you want another chance at some Firefly Music Festival tickets, head on down to our Rehoboth Beach brewpub. From 6-8 p.m., we’ll be playing a Firefly playlist and giving away another pair of tickets to Friday, Saturday and Sunday’s shows. All three giveaways will be announced at 8 p.m.
Saturday, May 19 from 10-11:30 p.m.
We’re closing out our American Craft Beer Week celebration in Rehoboth with some awesome live music! With music that draws from rock, folk, R&B and every genre in between, Ben Arnold’s songs are known to explore strong emotions. Having toured throughout the United States and Europe, he’s said to sound like Randy Newman and write like Springsteen in the 80’s. Sounds like a combination you just can’t miss! No cover. Show starts at 10 p.m.
Our merchandise team is also getting in on the American Craft Beer Week fun and offering a FREE limited edition t-shirt when you spend $35 or more in our Milton brewery merchandise shop or at our Rehoboth brewpub kiosk! Not going to be able to make it to coastal Delaware for American Craft Beer Week? No worries, our merchandise team has you covered with a special web-only offering! Spend $35 or more and they're going to throw in a FREE limited edition hat!